Discussion in 'UFC Discussion' started by MMA_enthusiast, Apr 14, 2019. MigitAs, FreddieRoachsVoice and Espresso like this. Spacetrucker, Lyesmith, Sage NorthGOAT and 2 others like this. FreddieRoachsVoice and Espresso like this. Thanks. Will watch tomorrow. About damn time. 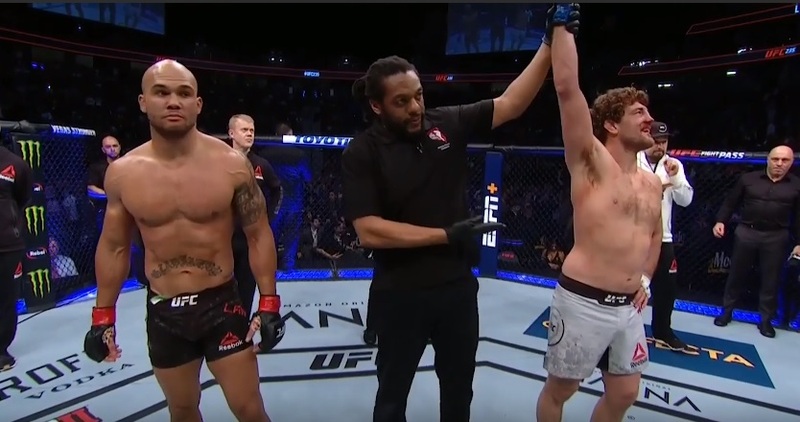 Biggest gift of a win ever seen in the UFC by stoppage. Imagine actually thinking Askren is the superior fighter after that fight.